Sky and Sony have confirmed that the Go!View video-on-demand-on-the-go service for the PlayStation Portable (PSP) has now launched in the UK and Republic of Ireland. 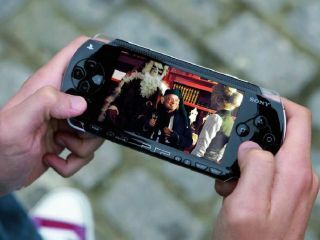 PSP users will be able to subscribe to various 'packs' of programming, including comedy, sport and entertainment themed strands, transferring the content to their PSP via a computer or PlayStation 3. There's already a good selection of TV and movies available, with Sky promising regular updates. Subs wise, you can take one 'pack' for £5 a month, two for £8 or all three for a tenner. Alternatively you can rent single TV episodes from £1.50 and movies from £2.50. Providing Sky updates the content properly, the pricing seems pretty fair to us. Sky is also offering a free month's trial subscription to promote the new service. Check it out over at goview.tv right now!